If you’re in need of roofing repair services after a storm took a toll on your Omaha, Nebraska, home, it’s important to know you don’t have to go through the repair or replacement project alone. Whether high-speed winds ripped your shingles, water infiltrated into the roof system, or hail dented your roof, you can confidently and quickly pick a qualified roofing repair company to restore your roof back to a strong, protective condition. To find reputable companies serving the Omaha, NE, area, you can do a quick search on customer review websites to see what residents in the region have to share about their experiences with roofing repair contractors. When you have narrowed down your options, you can schedule a few initial consultations to learn more about what you can expect with a roof repair or replacement project with each company. They’ll begin by assessing the storm damage to your roof, so they can offer possible roofing repair solutions. Depending on the age of your roof and the severity of the damage, you roof many require a few patch ups to the damaged areas, or it may need a full-on replacement project. This is why it is beneficial to meet with more than one company to gather opinions from multiple sources. These consultations can also pinpoint the companies that only want to sell you on their products at all costs, often by using gimmicks or high-pressure sales tactics to drive home a sale. This can help you make a decision when you compare those types of companies with the ones that offer genuine, reasonable, and informed guidance. For honest, fair advice as well as exceptional roofing repair services after a storm has damaged your roof, contact Elite Exteriors. 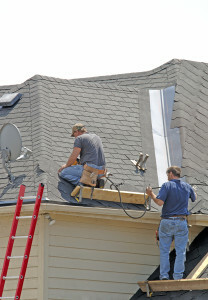 We are dependable roofing contractors serving Omaha, NE, and all surrounding cities.